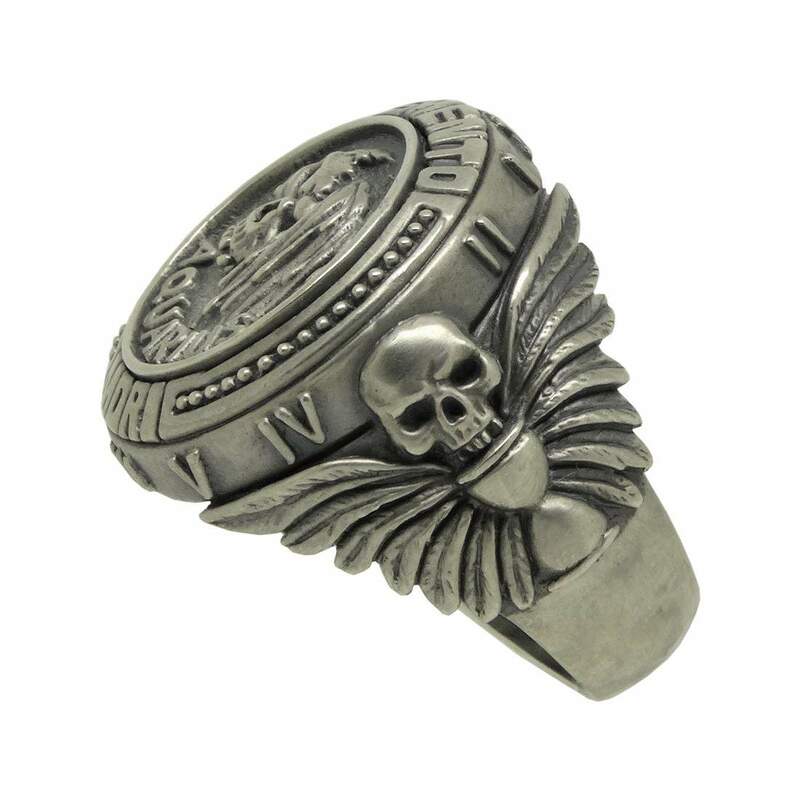 SKU: SS-037. 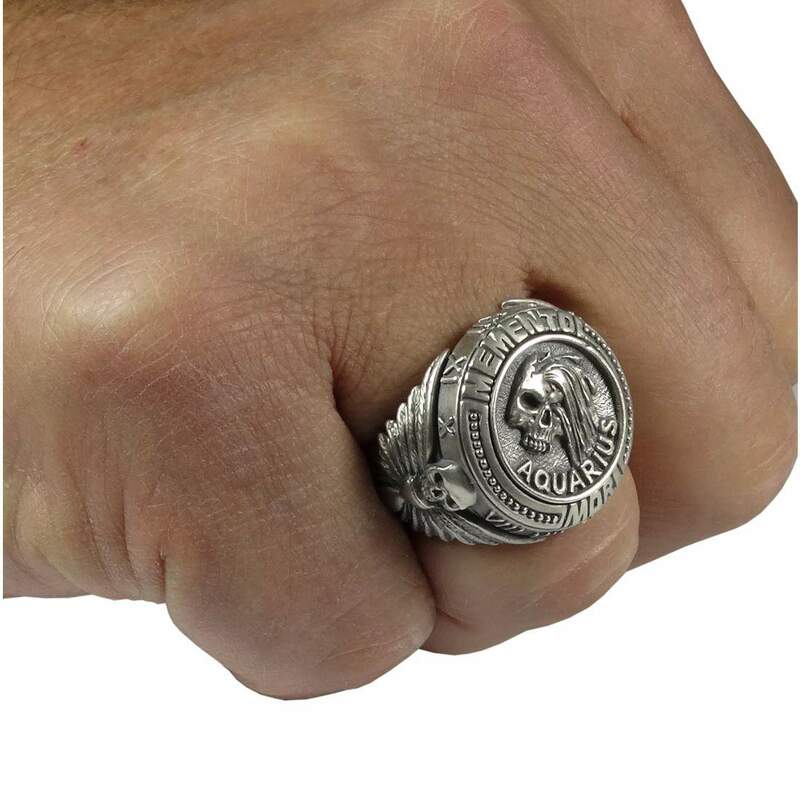 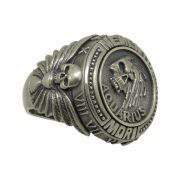 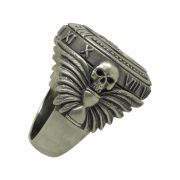 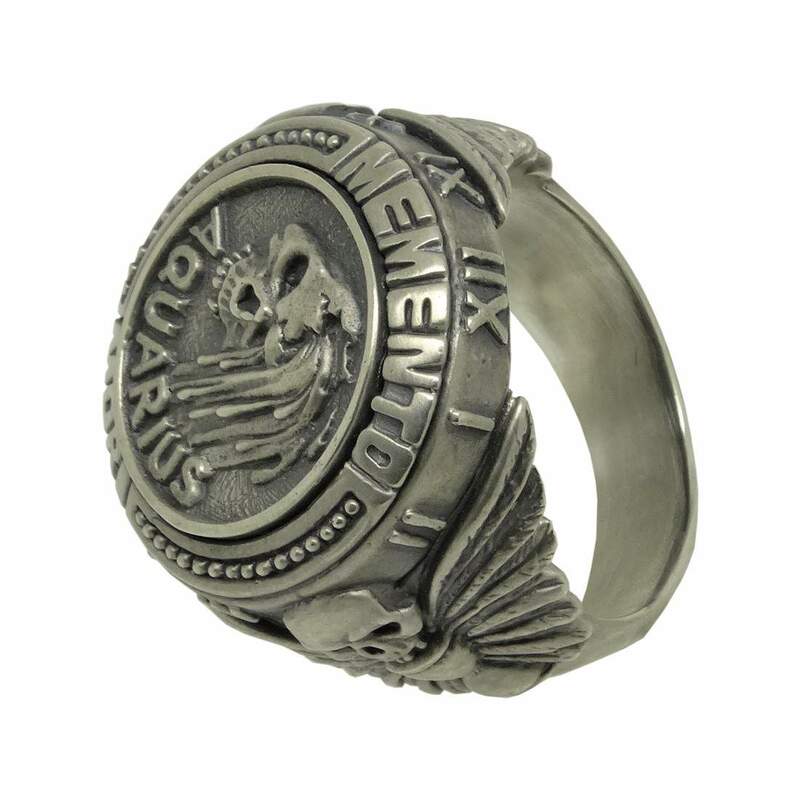 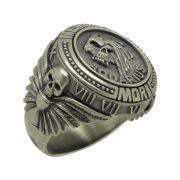 Categories: MILITARY RINGS, TEMPLAR RINGS, RELIGION, MASONIC, BIKER RINGS. 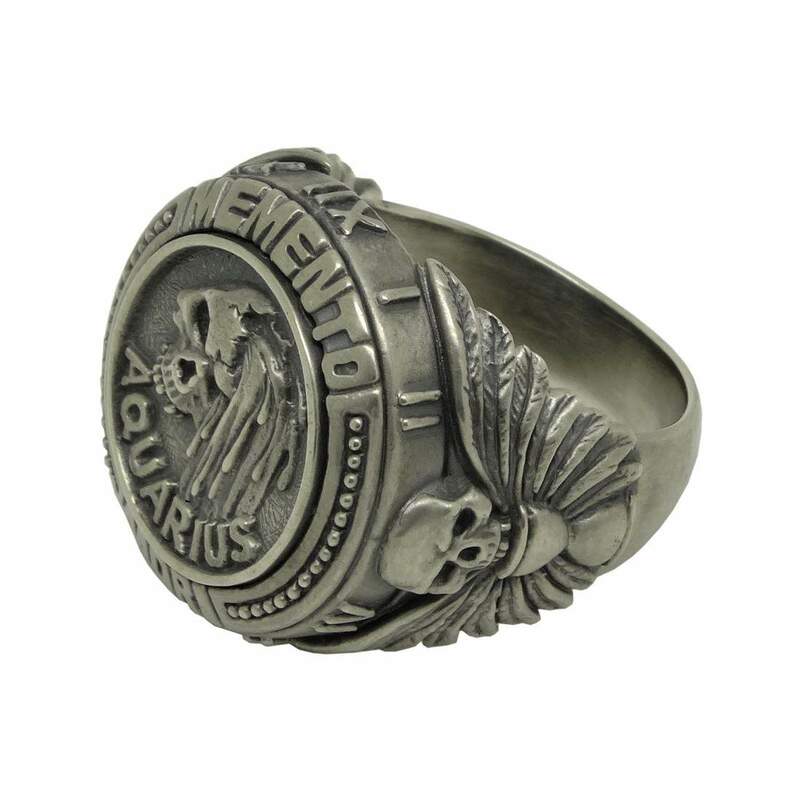 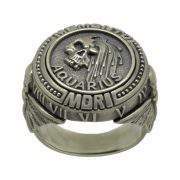 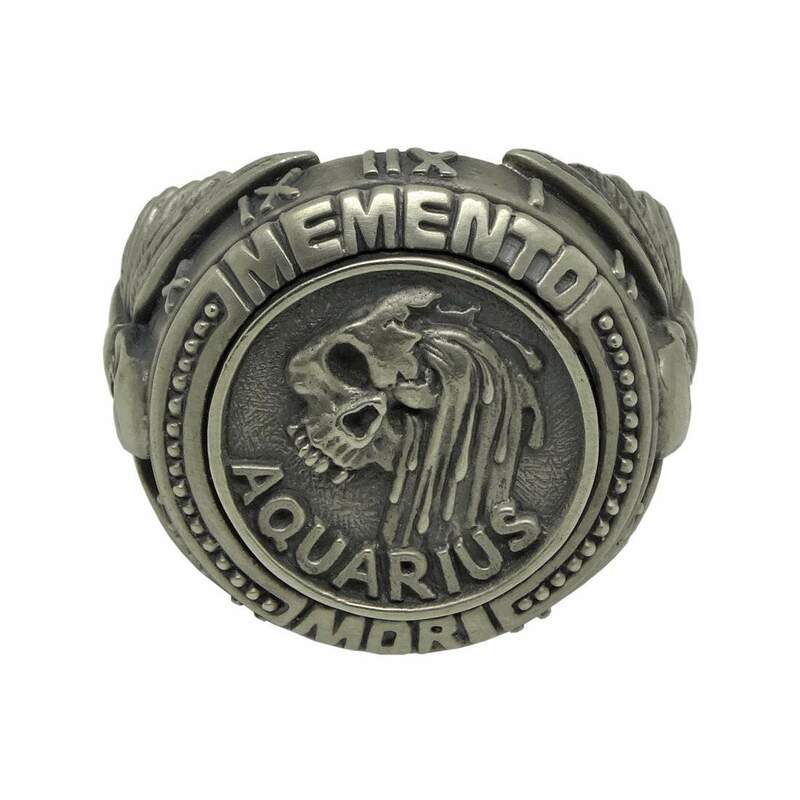 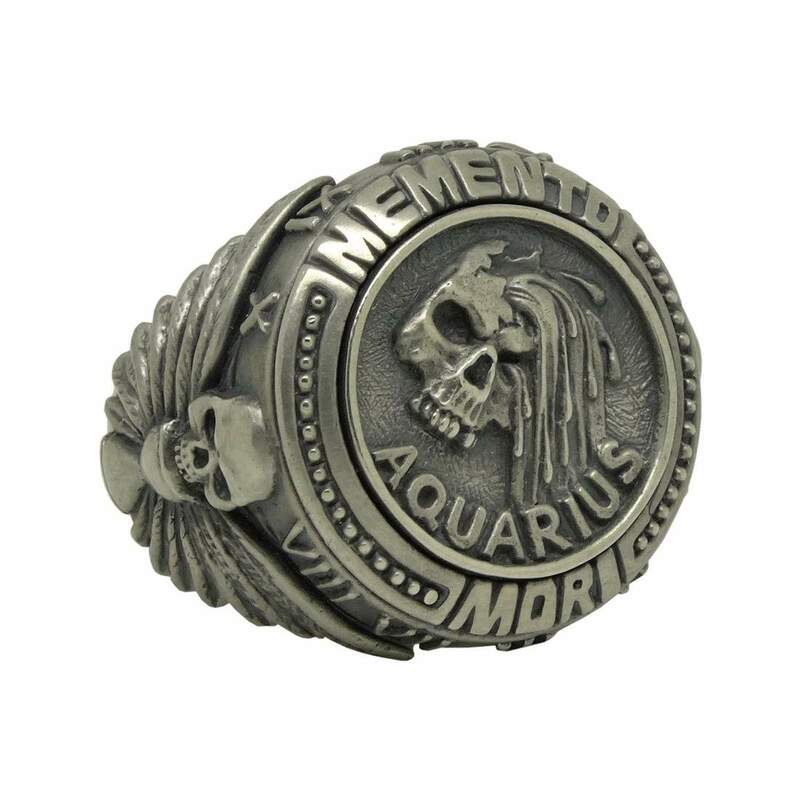 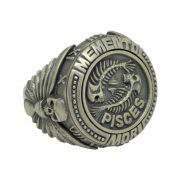 Tags: aquarius, man ring, memento mori, skull, zodiac. 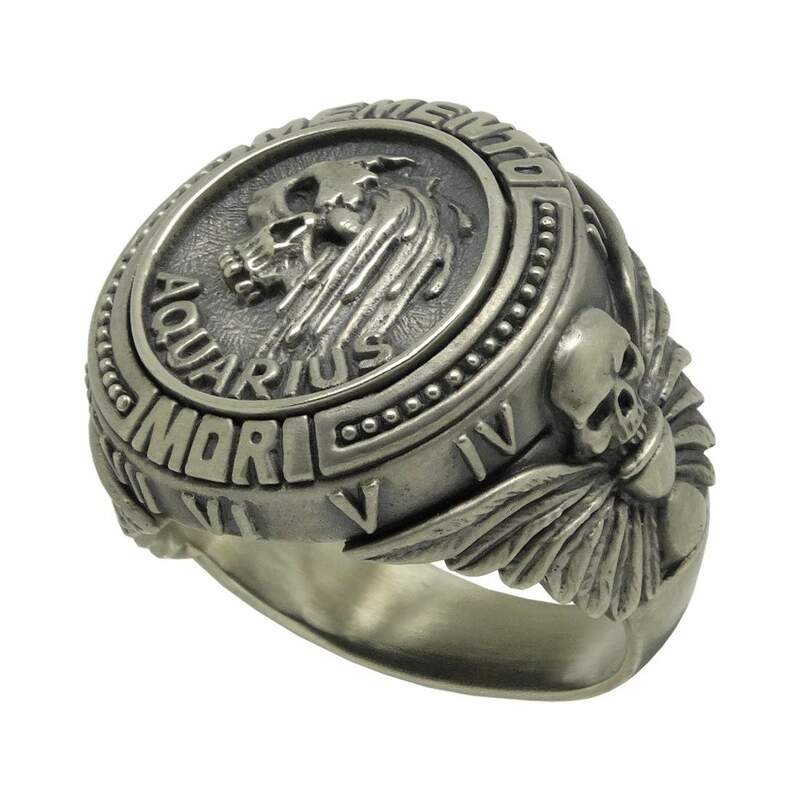 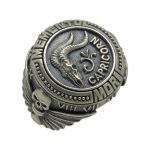 Sterling silver custom made Aquarius “memento mori” zodiac skull horoscope men’s ring. 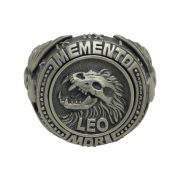 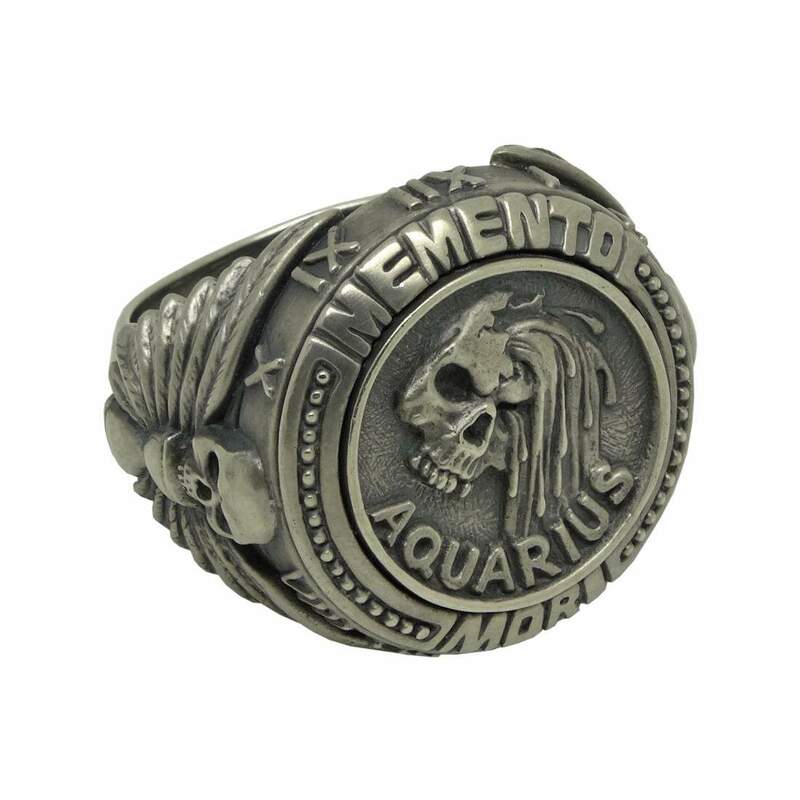 Top of ring features the Aquarius symbol abbreviated with cracked skull with water pouring off of it and the sign “memento mori”, which means “remember that you have to die”. All around the face of the ring there is a Roman numeral clock. The sides of the ring are also very emblematic there are an hourglass with wings up and a skull on both sides. These symbols associate with life, death, permanence, the past, the future, and the temporary. For those conscious of the world’s fragility, the hourglass represents life. 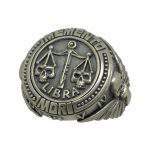 It was the only symbol that could depict both the past and the present at the same time, so it came to represent both life and death. 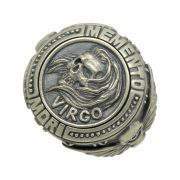 Its sands would flow regardless of the elements around it—just as a person’s life winds down at a steady pace, regardless of their good or bad deeds—so it was also used to instill a fear of death into people.